Your web application is throwing some sort of error or invalid response. Do you know how to troubleshoot IIS or ASP.NET errors on your servers? Luckily, Windows and ASP.NET provide several different logs where failed requests are logged beyond simple IIS logs. You are probably familiar with normal IIS logs, but there are some other places to look if you are looking for more detailed error messages or can’t find anything in your IIS log file. Standard IIS logs will include every single web request that flows through your IIS site. Via IIS Manager, you can verify that your IIS logs are enabled and where they are being written to. You should find your logs in folders that are named by your W3SVC site ID numbers. Need help finding your logs? Check out: Where are IIS Log Files Located? By default, each logged request in your IIS log will include several key fields including the URL, querystring, and error codes via the status, substatus and win32 status. These status codes can help identify the actual error in more detail. The “sc-status” and “sc-substatus” fields are the standard HTTP status code of 200 for OK, 404, 500 for errors, etc. The “sc-win32-status” can provide more details that you won’t know unless you look up the code. They are basic Win32 error codes. By the way, if you are using Retrace, you can also use it to query across all of your IIS logs as part of it’s built in log management functionality. 2. Can’t Find Your Request in the IIS Log? HTTPERR is Your IIS Error Log. Every single web request should show in your IIS log. If it doesn’t, it is possible that the request never made it to IIS, or IIS wasn’t running. Also, be sure to enable your IIS logging. Incoming requests to your server first route through HTTP.SYS before being handed to IIS. These type of errors get logged in HTTPERR. Common errors are 400 Bad Request, timeouts, 503 Service Unavailable and similar types of issues. The built-in error messages and error codes from HTTP.SYS are usually very detailed. Where are the HTTPERR error logs? 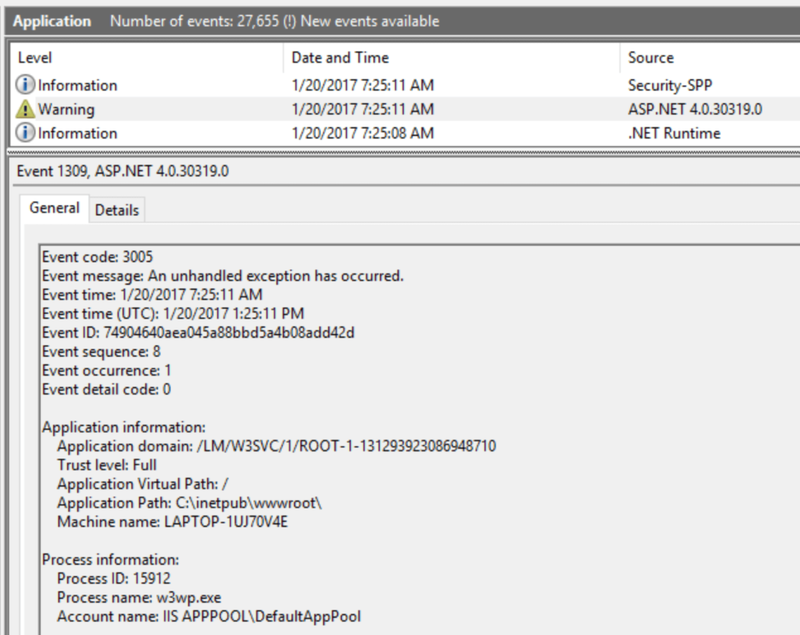 By default, ASP.NET will log unhandled 500 level exceptions to the Windows Application EventLog. This is handled by the ASP.NET Health Monitoring feature. You can control settings for it via system.web/healthMonitoring in your web.config file. Very few people realize that the number of errors written to the Application EventLog is rate limited. So you may not find your error! By default, it will only log the same type of error once a minute. You can also disable writing any errors to the Application EventLog. Depending on if you are using WebForms, MVC, Web API, WCF or other frameworks, you may have issues with ASP.NET not writing any errors at all to ASP.NET due to compatibility issues with the health monitoring feature. By the way, if you install Retrace on your server, it can catch every single exception that is ever thrown in your code. Failed request tracing (FRT) is probably one of the least used features in IIS. It provides robust IIS logging and works as a great IIS error log. FRT is enabled in IIS Manager and can be configured via rules for all requests, slow requests, or just certain response status codes. The only problem with FRT is it is insanely detailed. It tracks every detail and every step of the IIS pipeline. You can spend a lot of time trying to decipher a single request. If you can reproduce the problem, you could modify your ASP.NET web.config to see exceptions. Typically, server side exceptions are disabled from being visible within your application for important security reasons. 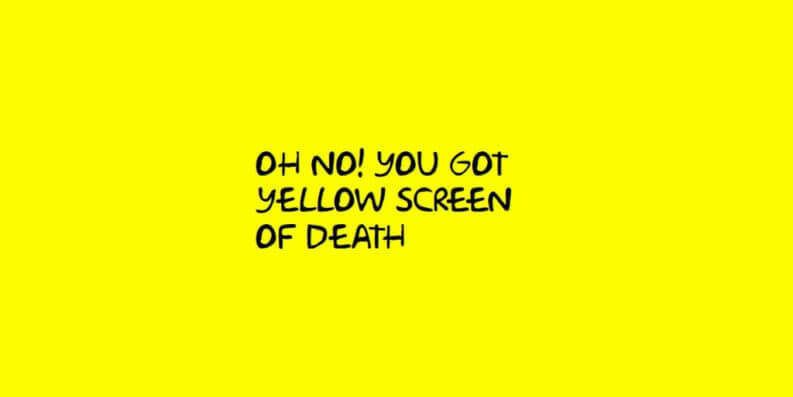 Instead, you will see a yellow screen of death (YSOD) or your own custom error page. You can modify your application config files to make exceptions visible. You could use remote desktop to access the server and set customErrors to “RemoteOnly” in your web.config so you can see the full exception via “localhost” on the server. This would ensure that no users would see the full exceptions but you would be able to. Compared to previous versions of ASP.NET, .NET Core has completely changed how error handling works. You now need to use the DeveloperExceptionPage in your middleware. .NET Profilers like Prefix (which is free!) can collect every single exception that is thrown in your code even if they are hidden in your code. Prefix is a free ASP.NET profiler designed to run on your workstation to help you optimize your code as you write it. Prefix can also show you your SQL queries, HTTP calls, and much, much more. Get Proactive About Tracking Application Errors! 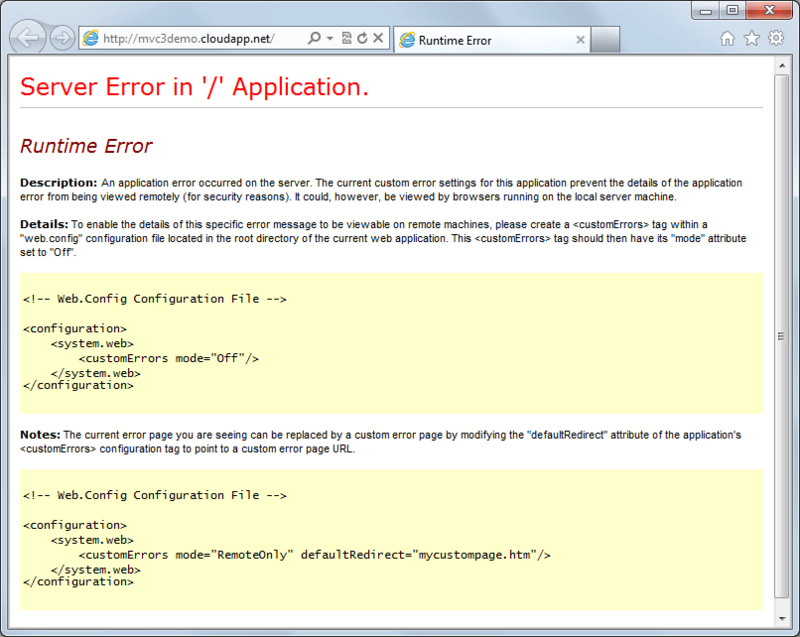 Trying to reproduce an error in production or chasing down IIS logs/IIS error logs is not fun. Odds are, there are probably many more errors going on that you aren’t even aware of. When a customer contacts you and says your site is throwing errors, you better have an easy way to see them! Tracking application errors is one of the most important things every development team should do. If you need help, be sure to try Retrace which can collect every single exception across all of your apps and servers. Also check out our guide on C# Exception Handling Best Practices. If you are using Azure App Services, also check out this article: Where to Find Azure App Service Logs.